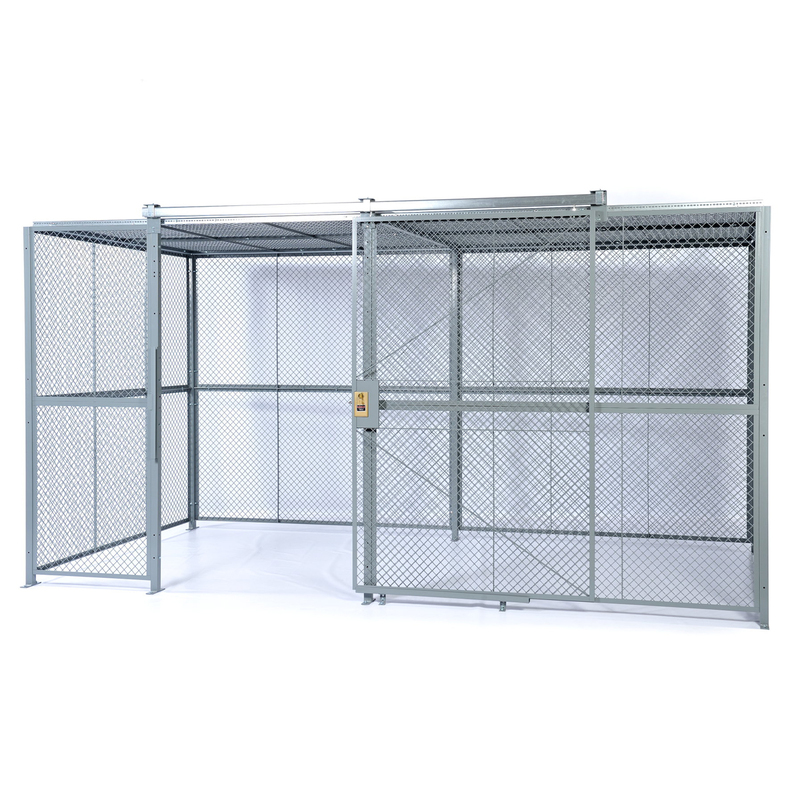 Woven & Welded Wire Cages are ideal for data center computer security cages, office supply and document storage, and retail theft prevention, yet still provides an easily installed solution for traditional tool cribs and warehouse security applications. 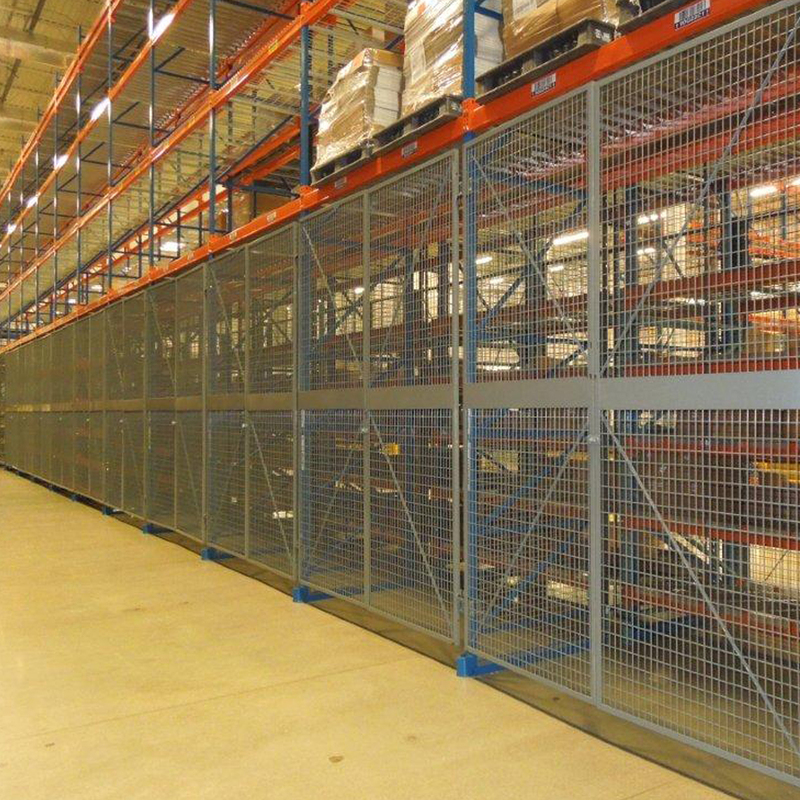 Incredibly popular in government applications, state and local law enforcement as well as military bases, wire cages provide the best cost effective security applications without having to add new construction. 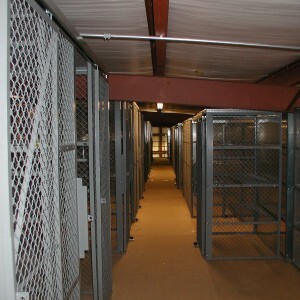 Cages are available with hinged or sliding doors and different lock options (keyed, pad-lock). 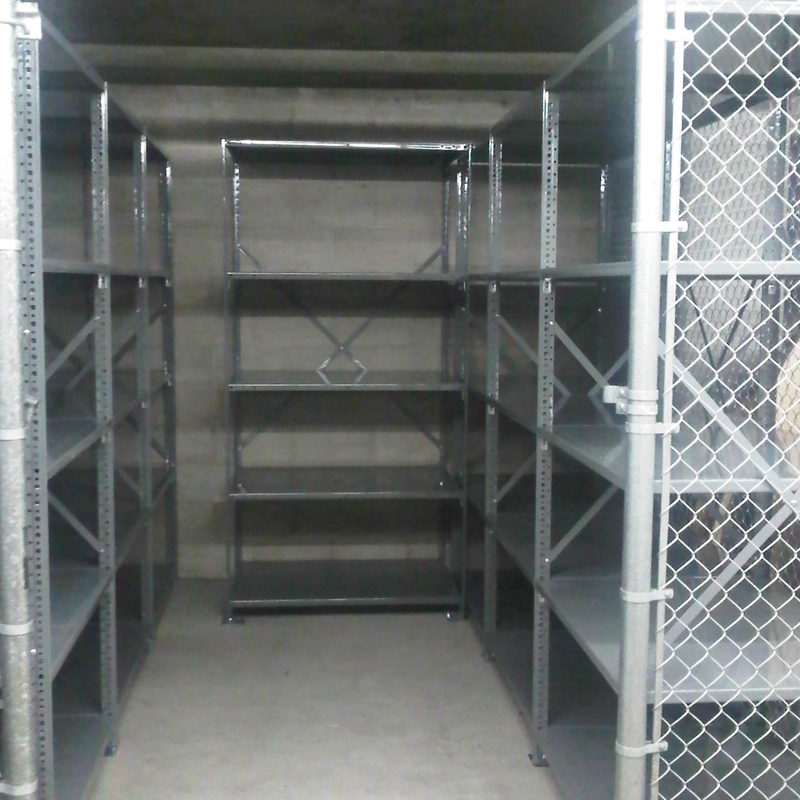 Additionally, hinged doors are pre-hung within the frame at the factory, eliminating installation time and allowing for a plumb fit every time. Cages provide a secure enclosure for your valuable assets and machinery. 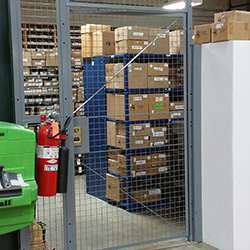 Access doors can be equipped with a Card Reader, Panic Hardware, Lever Locks (to meet ADA requirements), Pad Locks, Key Locks or any other state-of-the-art locking device. 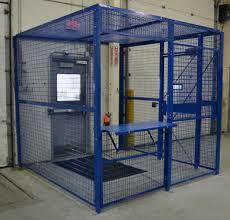 Wire Cage Screening is also available to limit visibility into highly secure cages. 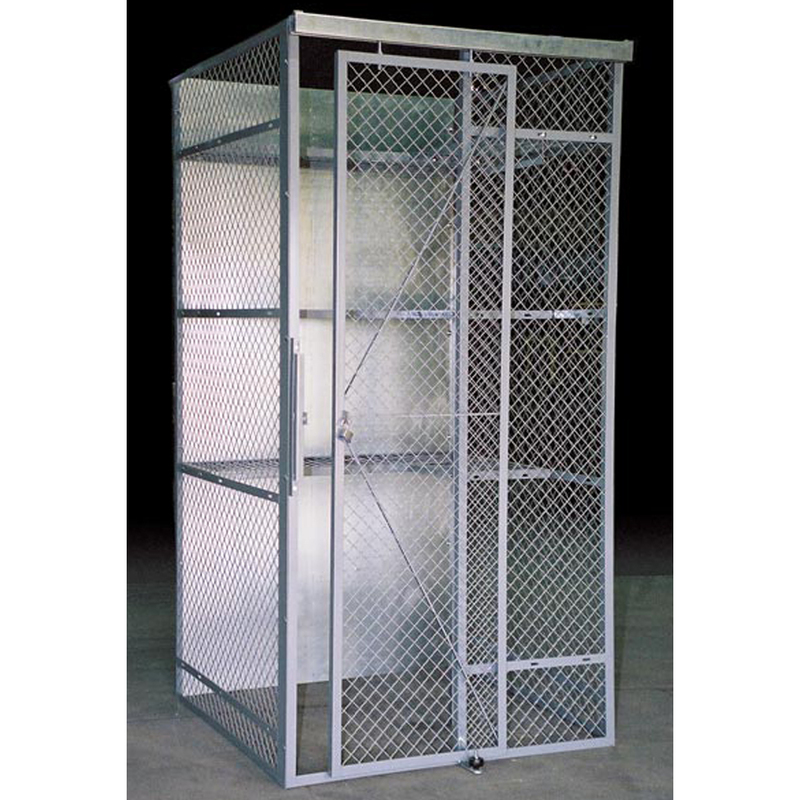 Constructed with either 6 gauge or 10 gauge steel, woven & welded wire in square or diamond patterns provide rigidity, stability and strength. Modular panels allows fast and easy installation with a variety of options such as Service Window, Bi-Parting door, Swing or Slide doors, Self Closing Doors, Vertical Lift Door. 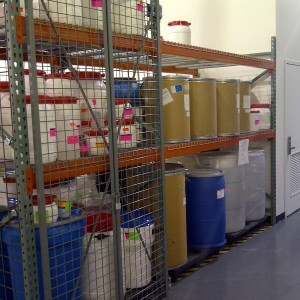 Expansion or layout changes can be easily accommodated. 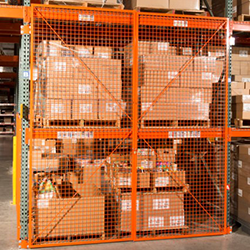 Woven & Welded Wire design provides visual security, easy access for fire protection, while allowing a non- obstructive flow through for existing sprinklers or HVAC systems. Wire Cages are virtually maintenance-free security options. 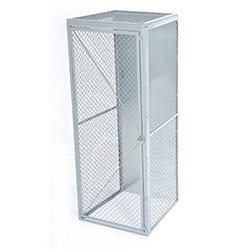 Wire Cages are available as woven or welded wire options with various gauges of steel depending on your storage application. These heavy duty and secure wire pallet rack doors are both economical and durable. 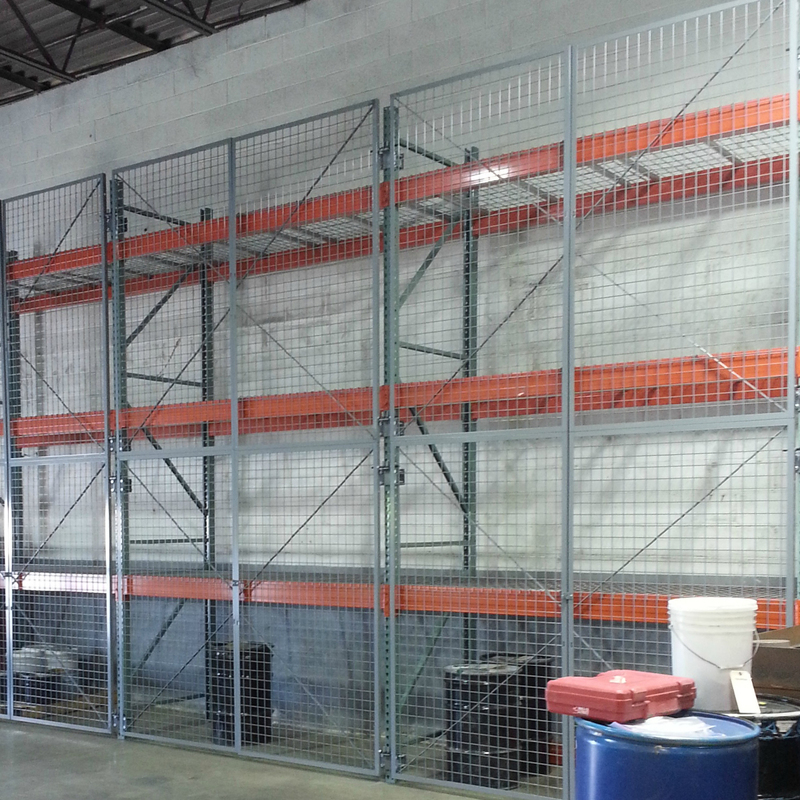 Available in custom sizes for standard pallet racks, secure inventory, enclosed pallet racks and industrial shelving with wire mesh panels. Open-wire design allows full visibility for easy inventory checks, excellent ventilation and improved cleanliness. Ideal way to secure items anywhere. 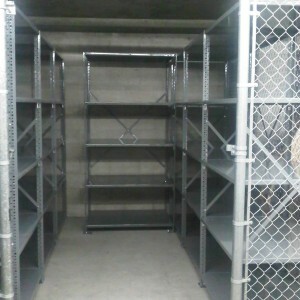 Strong and secure construction efficiently utilizes available space. 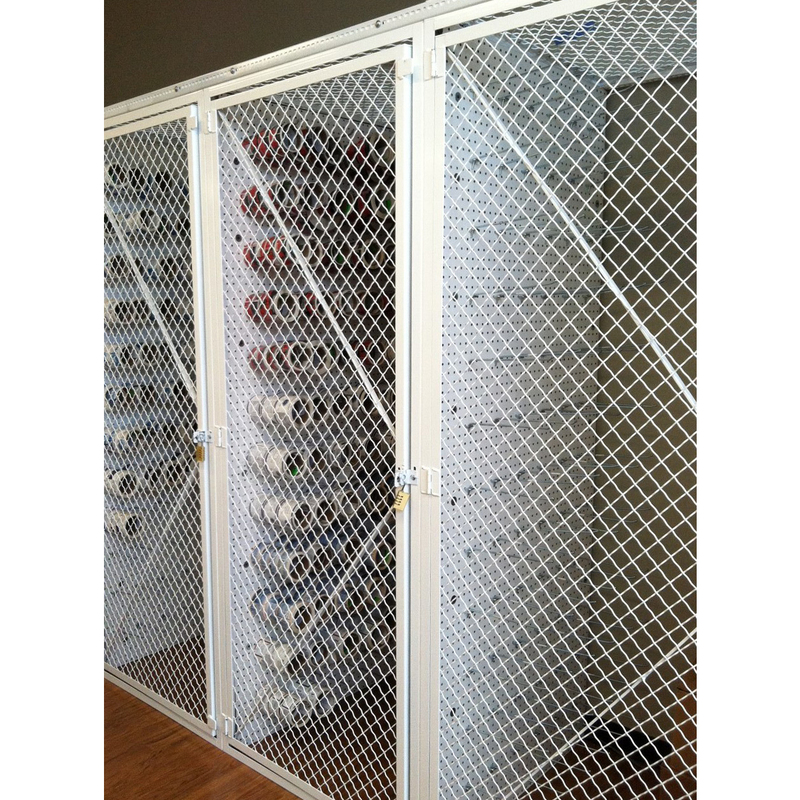 The modular design is cost effective, easy to install, easy to move and re-purpose. 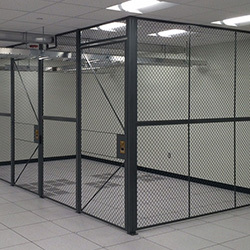 Used for safety, security and separation, Wire Partitions provide optimal structural integrity while also being visually appealing. 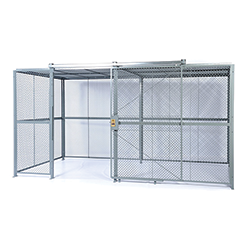 Wire partitions are used in manufacturing and warehouse facilities for tool cribs, maintenance equipment cages, and general storage areas. Wire partitions are also used to build free standing, multi-use storage cages and enclosures on facility floors. 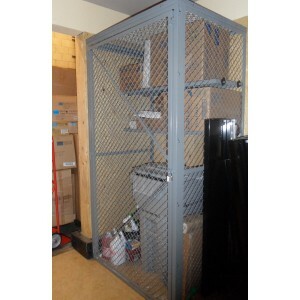 Secure enclosures are constructed with wire partition panels and used for inventory control. 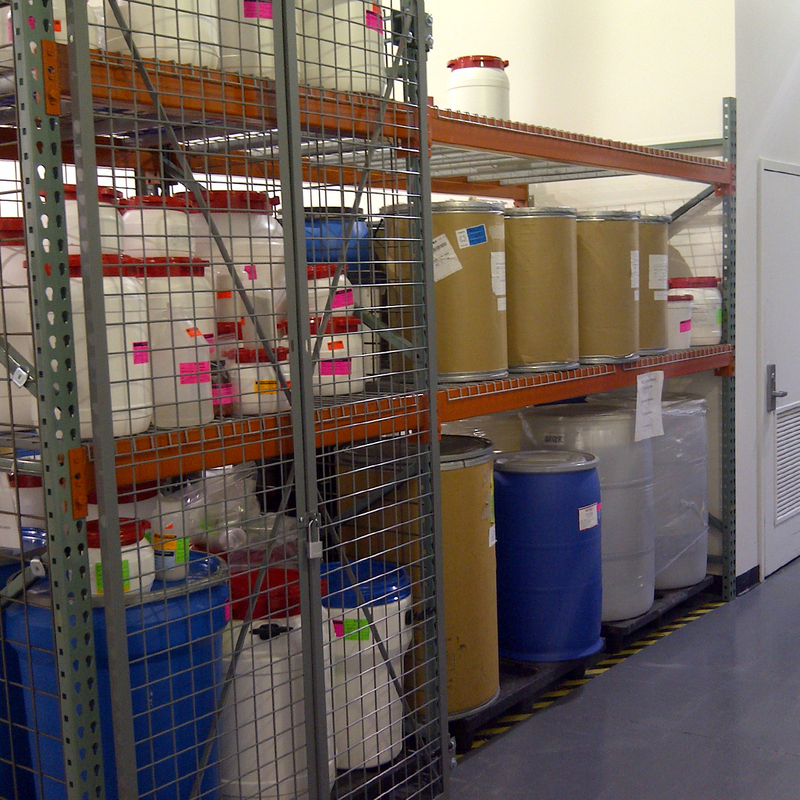 Add a wire security door to just about anywhere to secure and separate inventory. Security doors can be equipped with a basic key lock, self-closing doors, keypad locks, finger print scanners, card readers and more. 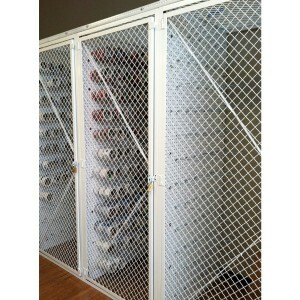 Control access to distribution centers, warehouses and/or buildings by surrounding entry ways with wire access cages. 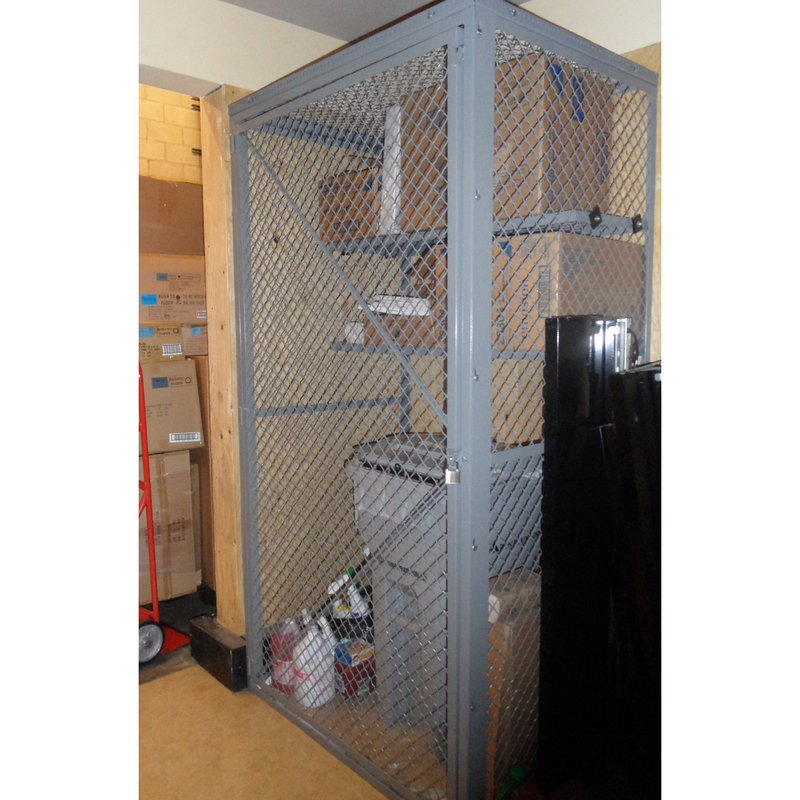 This will protect non-employees, visitors, delivery people and truck drivers from entering facilities and/or high risk areas.